Other tests may be necessary as your condition warrants. Please bring your current eyeglasses and/or contact lenses with you, along with a list of all your current medication and health conditions. Doctor Eyecare is pleased to offer the Canon Digital Retinal Camera for an enhanced exam experience. Dr. Safir is fully certified to prescribe LATISSE, the first and only FDA-approved prescription treatment used to grow eyelashes, making them longer, thicker, and darker. The LATISSE topical treatment is designed to target and enhance the normal growth phase of eyelash hair by both increasing the length of this crucial phase and multiplying the number of hairs grown during this time. If you stop using LATISSE, eyelashes will gradually return to their previous appearance. Eyelash growth with LATISSE is gradual, and fills in naturally over time. Initial changes may be visible around four weeks with longer, thicker and darker effects peaking at 16 weeks. At four months, 78% of those in a LATISSE clinical study showed significant increase in overall eyelash prominence. How do I obtain a LATISSE prescription? Call Doctor Eyecare at 214-522-3937 to schedule your LATISSE evaluation and find out if LATISSE is right for you. 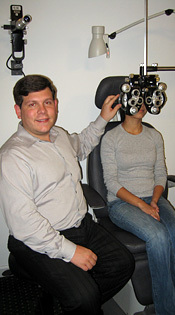 Dr. Safir is highly experienced in fitting all types of lenses, including disposables, gas permeable, bifocal, and specialty toric lenses for astigmatism. We have the latest colors available in cosmetic lenses, whether you need vision correction or just want a fashionable new look. We keep a stock of several thousand lenses, which means that often our customers can take their new contact lenses home with them the very same day. Included in every contact lens evaluation are your initial pair of diagnostic lenses, contact lens solution, and a storage case. If you are unsure whether contact lenses are right for you, ask for a contact lens consultation when making your appointment. 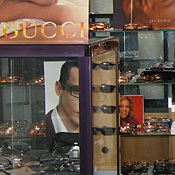 We offer a wide selection of stylish designer eyeglass frames, so you will be sure to find a pair to fit your unique personality. Glasses are sent out to a lab for precise grinding and installation. 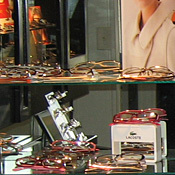 Then we carefully adjust the frames to your face to make sure you get the best fit possible.